The Farmer to Farmer Campaign on Genetic Engineering (Farmer to Farmer) is a network of 34 farm organizations from throughout the United States that endorsed the Farmer Declaration on Genetic Engineering released in December 1999. 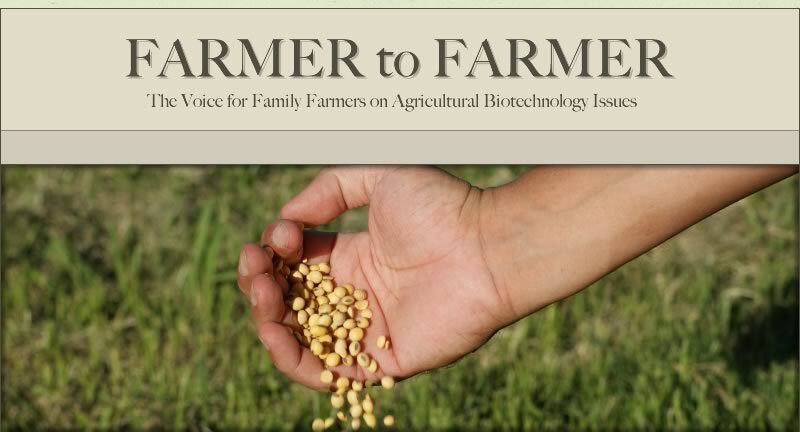 Farmer to Farmer seeks to build a farmer driven campaign focused on concerns around agricultural biotechnology and to provide a national forum for farmer action on these issues. American farmers are feeling the effects of a concentrated seed industry. Seed options are diminishing while prices increase at historic rates. 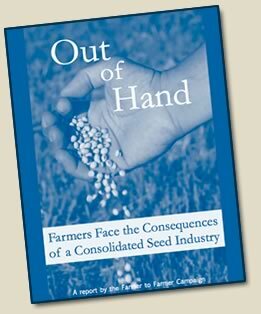 A new report by the Farmer to Farmer Campaign, Out of Hand: Farmers Face the Consequences of a Consolidated Seed Industry, uses industry sources, government data, and personal interviews with farmers and seed industry representatives to document the consequences of concentration in the seed industry. Out of Hand examines events that led to extensive concentration, including weak antitrust law enforcement and Supreme Court decisions that allowed genetically engineered crops and other plant products to be patented. These factors have created unprecedented ownership and control over plant genetic resources in major field crops. The report recommends that the U.S. Department of Justice closely examine anticompetitive conduct in the industry and enforce antitrust law. Other recommendations include revamping patent law as it pertains to crops, and reinvigorating public plant breeding programs to ensure that the needs of farmers and the general public are met and that research is conducted in an open and honest way.